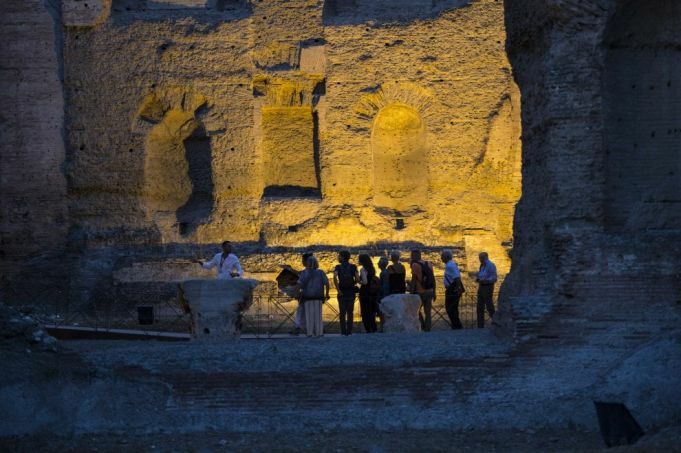 Night visits to Rome’s Baths of Caracalla. Guided tours in English and Italian until 18 October. The Baths of Caracalla will be open to the public every Tuesday and Friday evening until 18 October, with guided tours in Italian and English available from 19.30 to 22.30. Visitors can admire the floodlit Roman baths as well as explore the maze of underground areas during the tour, which lasts 75 minutes and costs €20 (€18 if booked in advance). 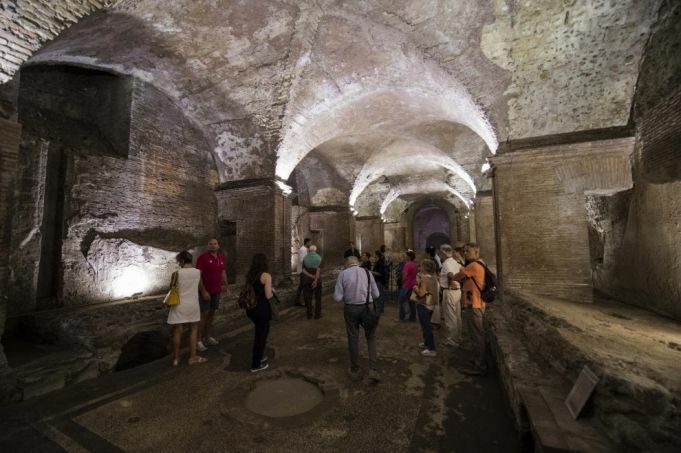 The tour of the ancient complex includes a visit to the gymnasium, changing rooms, frigidarium, tepidarium and caldarium. Tours can be booked by calling 0639967700 (Mon-Fri 09.00-18.00, Sat 09.00-14.00) or via the Coopculture website, and access is from Viale delle Terme di Caracalla 52. The first visit begins at 19.45 (meeting at 19.30) and the last tour starts at 21.00. The Pope expressed his sorrow for the recent terror attacks and begged the lord during Sunday’s Angelus to free the world from the “inhumane violence” of terrorism. “We carry in our hearts the pain over the terroristic attacks in recent days that have claimed numerous victims in Burkina Faso, in Spain and in Finland” he said at the end of the Marian prayer. And he asked the 10,000 pilgrims and faithful gathered in St. Peter’s Square to pray first in silence and then together with Our Lady, “for all the dead, for the wounded, and for their families.” And “and let us implore the Lord, the God of mercy and of peace, to free the world from this inhuman violence”. 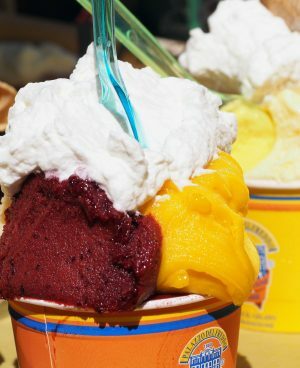 Locals Say These Places Have The Best Gelato in Rome! Some insider knowledge to help some of you Substantia followers out there!! In business since 1880, Fassi’s crown jewel is its speciality, the Sanpietrino, a semifreddo which is inspired by and named Best gelato in Rome after the Roman roads paved with “sanpietrini,” or Roman cobblestones. The classic version features dark chocolate frosting and a filling of 6 flavours: chocolate, hazelnut, cream, coconut, zabaione, and coffee. They also have the Sanpietrino in pistachio, hazelnut, white chocolate covered berries, and lemon cream. Other specialties are the Caterinetta and cassata. Fassi is also famous for its full-bodied cream. 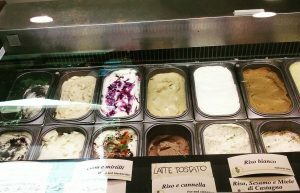 As far as their gelato is concerned, they’ve got their classic flavours that never change, while on a more or less monthly basis, new cream and/or fruit flavours are created and put into the rotation. With regard to the fruit flavoured gelato, Fassi adapts its selection based on the seasonal availability of the various fruits used. Instead, the cream based flavours vary based on the inspiration of master Andrea Fassi and the gelato laboratory head, Armando Mazza. 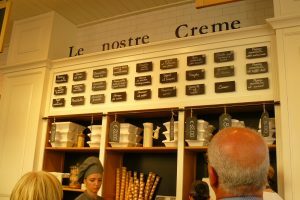 With 3 locations in Rome to serve the public, La Romana is a sheer delight…unbeatable creamy goodness every time. Dedicated to following tradition when it comes to preparing its flavors, La Romana was founded in the historic center of Rimini in 1947, taking its name from the daughter of the first owner and founder, Vito Zucchi, who at that time decided to open the first artisanal “gelateria” or gelato shop in all of Rimini. Thanks to his fertile imagination, with only a few ingredients at his disposal, he realized a wide range of quality flavours, still produced and available at all of the locations. As if La Romana’s awesome gelato wasn’t enough, they’ve got a white and dark chocolate fountain used to fill the tip of your cone with if you’d like and three different kinds of whipped cream to top off your gelato: coffee, zabaione, and cocoa. Usually, if a gelato shop produces more than 20-30 flavours to sell, it is full of artificial flavours and ingredients and not of good quality, but that’s not the case at master Claudio Torcè’s gelato shop. When he opened his first shop in 2003, he immediately began with 100 flavours, even though many people were sceptical he could pull off so many. He proved the doubters wrong because despite the fact that they have a lot of flavours to maintain, each one is jam packed with quality. Some of the specialties include the chocolate flavours and the selection is very creative including chocolate concoctions like chocolate/ginger/lemon and chocolate/paprika/chilli pepper. The original location is on viale dell’Aeronautica, but the brand has now expanded to 7 other locations where you can go and try this fantastic gelato. A highly recommended speciality is Fantasia di Bronte, which is almond/pistachio/pine nut. Angelus: Listen to the Lord not horoscopes or fortune tellers. “When you do not cling to the word of the Lord, but have more security in consulting horoscopes and fortune tellers you sink”. Those were Pope Francis’ words during his Angelus address on Sunday in St Peter’s Square. He was referring to the Gospel of the day where Jesus walks on the waters of Lake Galilee to save Peter and the disciples from sinking in their boat due to the heavy waves of the sea. Pope Francis explained, that at that moment, Peter was not sure of the word of Jesus, which was like a rope to cling to in hostile and turbulent waters. This is what can happen to us as well, he said, “when you do not cling to the word of the Lord, but to have more security in consulting horoscopes and fortune tellers you sink”. The Gospel of today, the Pope underlined, “reminds us that faith in the Lord and in his word does not open a path where everything is easy and quiet for us; It does not take away the storms of life. But faith, the Holy Father went on to say, “gives us the assurance of a Presence, that is Christ, which pushes us to overcome the existential buffs; Faith, in short, is not a loophole from the problems of life, but it sustains our journey and gives it meaning. City and Vatican co-organise Rome Half Marathon Via Pacis. 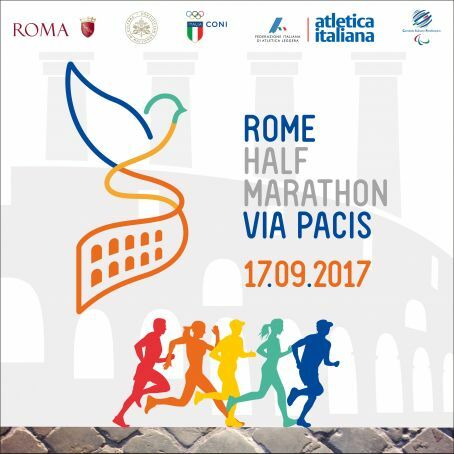 The Rome Half Marathon Via Pacis, scheduled for 17 September, is described as the first multi-religious half marathon for peace. The event is being organised by Rome city authorities and the Vatican’s Pontifical Council for Culture, in collaboration with the Italian Athletics Federation and Italy’s Olympic committee. With its core principles as “peace, integration, inclusion and solidarity”, the half marathon is open to all who oppose “violence, racism and discrimination”, according to organisers. The 21-km race begins at St Peter’s Square at 09.00 on Sunday 17 September and will be televised live on RAI Sport. The race route will incorporate sites pertaining to five different religious denominations: St Peter’s, the Synagogue, the Mosque, the Valdese Church and the Orthodox Church. There is also a non-competitive 5-km run. Pope Francis at Angelus: Gospel joy opens hearts. Ahead of last Sunday’s Angelus prayer with pilgrims and tourists in St. Peter’s Square, Pope Francis shared a reflection on two of the three parables from the 13th chapter of the Holy Gospel according to St. Matthew, which were read during Mass on Sunday. Focusing exclusively on the parables of the hidden treasure and the pearl of great price, the Holy Father said, “This day, we are exhorted to contemplate the joy of the farmer,” who sells all he has in order to purchase the field wherein he had hidden the treasure he discovered, “and of the merchant,” who sells all he had in order to purchase the pearl of great price. “It is the joy of each of us when we discover the closeness and consoling presence of Jesus in our lives,” he said.